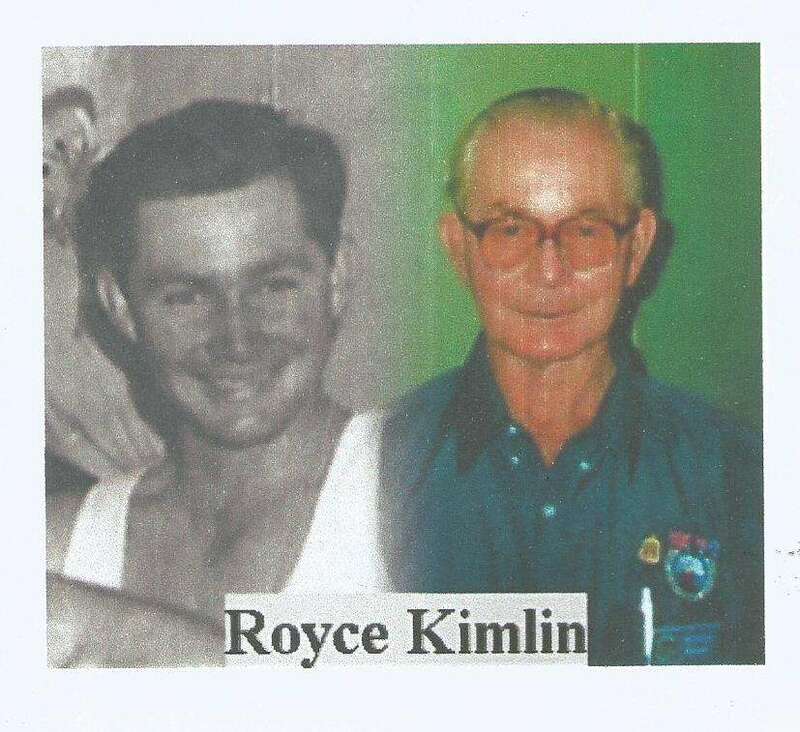 QLD Division regrets to advise of the passing of our member Royce KIMLIN Q1387 on the 18 January 2019. He had turned 90 last Sept. The cause of death was colon cancer, and we understand that there will be a private funeral. Below is a letter from Royce, written in 2009, which sets out some of his life as an aircraft handler. ‘I’ll try to tell my story of my life as a Naval Aircraft Handler. In November 1950 l left my home for personal reasons and I have never been back to the homestead since. I went past the recruiting office in Brisbane and stopped and read about a new service for the Navy so in I went and as a result joined the Fleet Air Arm. Quote a few younger boys – or should I say men – also signed up and we did the written tests which would be a normal 3rdgrade exam and then the medical at HMAS Morteon and we were in. They held us in the YMCA for a few days and then took us to South Brisbane railway station to start our journey to HMAS Cerberus. It took a month to do the journey because of the strikes and a short stay in Penguin. We met up with the recruits from other states at Melbourne, all up about 180 men, and were put on a train to Cerberus, arriving there a few days before Christmas. It was the worst Christmas I’ve ever had, the blow flies spoilt the food by spraying maggots all over it. They put us into four classes for training and I think we ruined two pairs of boots in the bullring. The only thing I didn’t pass was the swimming test and I still can’t swim. We had two weekends of leave in Melbourne in the time it took us to pass out. All the others went to the classes of choice in general service and there I stood as the only recruit Naval Airman in the classes and they could not decide what to do with me. They sent me to Point Cook, they said that is where they learn to fly (I learned early not to question the bosses). I spent a few weeks there hitching lifts on different planes to pass the time away as nobody knew what to do with me. One day a Land Rover came along and picked me up and took me back to Cerberus. They gave me all my back pay and railway passes to Nowra and I bet they said more than goodbye later. I arrived at Bomaderry and they said this is the end of the line as I got off with my gear. I said to the Station Master ‘where is Albatross’. He replied that they usually sent a bus for drafts, but none was there. He allowed me to use the phone and after a lot of talk convincing the RPO that I was a draft and after another two hours a Land Rover came and took me out to the air station. On arrival – it was Easter Weekend – I was sent down to find a spare bed in any of the huts, which I did and found myself in the company of Cuddles, Cuneen, Doggie Thompson, Lips Leslie, Frank Crowe and others. After a few days of general duties I was put in a class and we did a quick runaround of the different jobs that were available. I kept quiet about my diesel engine ticket as all I wanted to be was an aircraft handler. I went into Class 16 and a PO walked in and asked if anyone had a driving licence. I was the only one to say yes, and he asked to see it and was amazed to see that I had one for heavy duty trucks, semi-trailers, tractors and mobile cranes as well as the usual C class licence. I obtained all these from working on the family farm. I was put to work in the MT yard driving most vehicles at one time or another. I ended up the Commander’s driver who in my time was Robertson. I joined HMAS Sydney in May 1952 and was in C8 Mess. She was in dry dock at the time, but not for long. We headed for sea and picked up a couple of Squadrons which I forget as I was never a Squadron man. We went south first, past Tasmania and hell, it was cold: about the middle of winter and no one had an extra jumper or anything else to keep us warm. We were saved by a message that we had to turn around a Jap fishing fleet in the Coral sea and send them home. I think it was about that year we went into Brisbane while the Ekka was on, only for a couple of weeks. I met Dad and Mother at the show so that was alright. Then up to the Coral Sea but of course we had to pass over the Tropic of Capricorn and changed into summer uniform and we all got sunburned. We found the fishing fleet and a couple of shots from the guns in front of the bows of the mother ship and we had them. Took all the fish from them – it was a good change of diet for us. Then we went to Manus Island for a couple of days and all the Second World War wreckage was everywhere. We then went down Torres Strait to Darwin. We made Darwin in a couple of days arriving in September just before the 20th, which was my 24thbirthday. I took a few of the boys ashore to celebrate and believe me I didn’t have a drink but the boys did it for me. (I had a poisoned leg and a tropical ear and no grog for me, but plenty of needles from the sick bay crew). That night going back on board it was dark and the tide was low (twenty to thirty foot tides in Darwin), and there I was with a bunch of pissed handlers who finally piled into the sea boat at low tide. I said okay full speed ahead and off we went. Unfortunately the low tide also exposed the bombed-out wrecks in the harbour which were not marked, and we hit one of them at full speed and tore open the boat – boy, didn’t the boys sober up fast to climb up onto the wreck in a hurry! We had to signal for another boat and scoot back on board. Next morning I had to front Commander’s where a ‘please explain’ question was asked. I said the water was too shallow and he nearly fainted and asked what I was going to do about the loss of his boat. I said give me another boat and two crews and leave the rest to me. We went to Naval stores in the harbour, did a deal and went back to Sydney in two boats – enough said. The Commander shook his head and did not want to hear any more about it, but a few weeks later I got a promotion. We sailed out of Darwin towards the Indian Ocean near Monte Bello island. On 3rdOctober the first of the British atomic bombs were let off and what a sight it was! After a few days we went into Shark Bay for a repaint and I remember two lads falling off a plank into the Bay, and being loudly told there were a lot of sharks around. They re-boarded very quickly and it only cost them a tin of paint and a couple of brushes. We then went to Fremantle and Perth and the WA boys took leave. We all got a free tobacco issue and I got a brain wave – I would post my issue home to save carrying it all the way with me. Alas six hundred sailors and myself were nabbed by Customs for sending tobacco though the mail. Commander Robertson (himself an offender) said he would set out the punishment and did so: one month’s stoppage of leave, which lasted across the Bight and on to Jervis Bay. The Cup in Melbourne was a sidelight also missed by most of the six hundred. We disembarked the Squadrons at JB and then on to Sydney for leave. We were drafted to Albatross around April 1953 but when we got there is was about turn back to the Vengeance which was in dry dock and in a very bad condition as we had just received it from the Poms. While in dry dock I happened to tip a bucket of dirty water down a chute which ended up all over a Dockie. They went on strike for ten days over it, but needless to say I remained very quiet about my part in the event. When we had cleaned up it was out for trails which but for a few splats went OK. The mess deck was not in the class of Sydney’s, but the next day I was back on Sydney in dry dock restocking with bombs, rockets, ammo and all the other bits and pieces, and then it was off to Korea. We did a couple of patrols up the east coast and then went up the west coast of Korea and back to Kure for Christmas. We were near to a couple of Yank destroyers so we visited them and they returned our visits. They said we had it good with our corned meat and vegs while they only had roast turkey, vegs, ice creams and fruit cake puddings. A couple of times we went to Hong Kong for supplies and it was a change from Japanese harbours. We picked up a couple of helicopters and aircraft from HMS Glory, which was returning to the UK for a refit. After a good operational cruise we headed home to Sydney arriving at the end of July 1953. We went on leave and were later drafted back to Albatross. I spent time at the MT compound driving trucks on convoys around the place. In December I took leave and got married just before Christmas Day. We were looking forward to spending the rest of my time at Nowra even fixing up the rental of a flat at Greenwell Point – but not to be. On arriving back from leave Pongo Lemon called me into his office and said that I was supposed to be at HMAS Moreton. This was news to me and we made hurried arrangements about the flat and sent the furniture up to Brisbane by train. After a quick draft out I got my paper work and took off. I made arrangements at Bomaderry for my wife to travel with me and at Sydney was able to convert my railway pass into a sleeper for South Brisbane. On arrival at Brisbane I got my brother to collect my wife, and I went flat hunting. The very first flat it was: brand new and one pound ten shillings a week. I set my wife up and went to Moreton, only four days adrift, who did not know anything of my draft so I told them I was there to take care of the place. Several aircraft handlers were already at Moreton and I told them ‘Mum’s the Word’, and that they didn’t know me. I settled in to see my time out and paid off in November 1956. Thanks to the many mates and friends that I made during my time in the Navy.